We just entered August, the heat is back, and I’m writing tonight to talk about fall beer. Yep, fall beers. In this case, Urban Chestnut’s 2-year-old Oktoberfest Lager, Oachkatzlschwoaf. 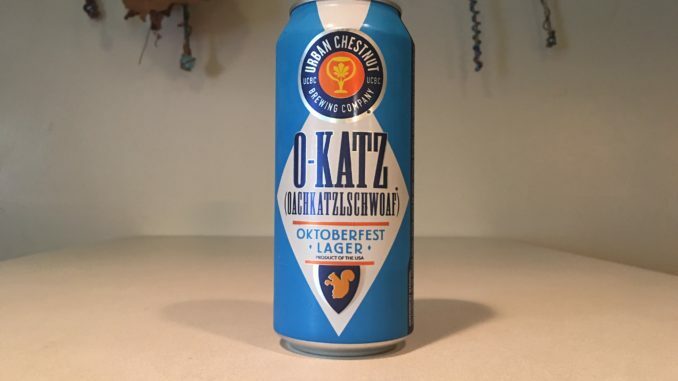 Pronounced “oh-khut-zel-schvoaf” but you can call it “O-Katz.” Translated as “tail of a squirrel”…I hear it’s a just a little Bavarian humor. This malty yet well-balanced Märzen is easy to drink but difficult to pronounce. And it’s back and this time it’s available in 8-packs, 4-packs, and on tap! 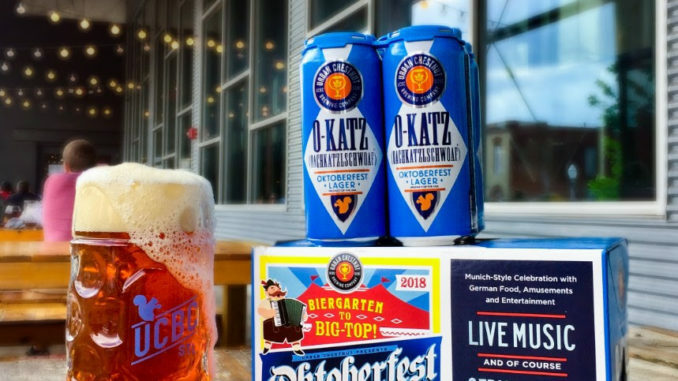 And the return of O-Katz also means Oktoberfest St. Louis is right around the corner. Dust off your Lederhosen and Dirndls and save the date for Sept. 28-30th for UCBC’s largest festival of the year. O-Katz pours pretty clear with a golden amber in color. I got a nice frothy head on top. On the nose, you’ll get some nice malt, roasted and sweet as advertised, but not overly sweet. I’m not getting the floral as much as I was told, but maybe you will. On the palate, it is nicely carbonated, medium-to-full body in the mouth and a smooth. Kind of creamy. It’s a flavorful beer for sure. It has subtle toasty, caramel notes but a dry, clean finish. It pays homage to the traditional Marzen styles dating back hundreds of years. And the recipe was developed by a Bavarian, Urban Chestnut’s Brewmaster Florian Kuplent who brings nearly two decades of artisan brewing experience to every beer. For those new to Marzen styles, this beer represents. Originally brewed for the annual 2016b Oktoberfest celebration. It’s malty yet well balanced like the bier traditionally served at Oktoberfest in Munich. On tap and on shelves now! Should retail around $16.99.